“We cannot allow this dangerous disease to make a come back here in New York City. We have to stop it now,” de Blasio said at a news conference. “We have a situation now where children are in danger. We have to take this seriously,” he added. Measles is a highly contagious disease and can cause pneumonia, encephalitis (swelling of the brain) and death. 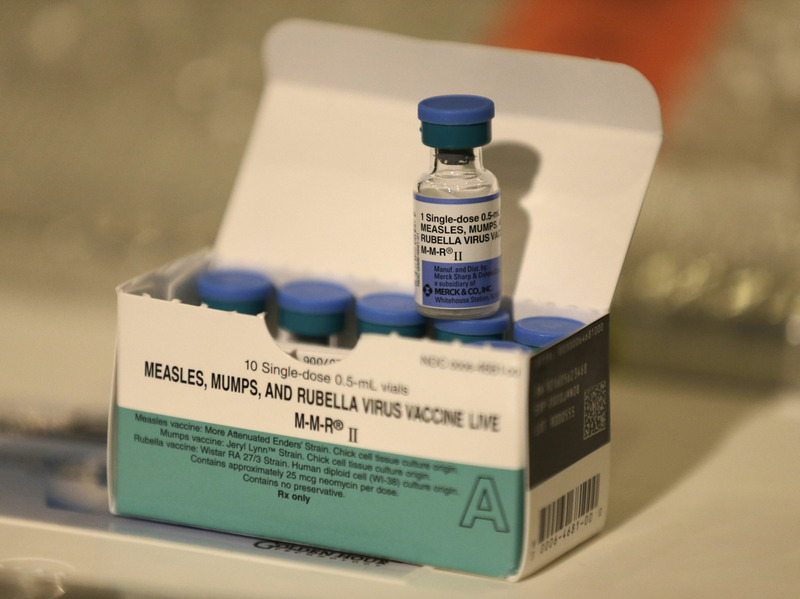 The Centers for Disease Control and Prevention says two doses of measles-mumps-rubella (MMR) vaccine are about 97 percent effective in preventing the disease. Tuesday’s order follows another decree by the city’s health department issued a day earlier that any yeshivas in Williamsburg that continue to defy the mandatory exclusion of all unvaccinated children will immediately be issued a violation, and face fines and possible school closures. Mistrust over the safety and alleged side effects of vaccines has played a significant role in outbreaks among wealthier nations around the world, where parents are choosing not to vaccinate their children, often citing popular but debunked misinformation — as opposed to forgoing immunization for lack of access to the vaccine which is what tends to promote the spread of the disease in poorer countries. Similarly, tightly clustered religious communities, insulated from mainstream society also tend to suffer higher flare-ups of the highly contagious virus because the group’s level of immunity has fallen. In order to achieve what is called herd immunity, which protects even those who are not vaccinated, a population must reach a 93 percent to 95 percent immunity rate. In Williamsburg, the immunization rate is particularly low among the Hasidic and Orthodox Jewish communities causing the virus “to increase at an alarming rate,” according to the Health Department. The vast majority of the city’s cases are children under 18 years of age. In most cases, the patients were unvaccinated or incompletely vaccinated individuals. While no one has died, a handful have been admitted to intensive care. “This outbreak is being fueled by a small group of anti-vaxxers in these neighborhoods. They have been spreading dangerous misinformation based on fake science,” Health Commissioner Oxiris Barbot said in statement. Health officials in a northern suburb of New York called Rockland County, last month also banned unvaccinated children from visiting public places for 30 days. The order was temporarily halted by a judge last week. Three 2018 outbreaks in New York state, New York City and New Jersey, which contributed to most of the cases recorded last year, were all associated with travelers who brought measles back from Israel, where a large outbreak is occurring. According to the city’s health department, “five cases, including the initial case of measles, were acquired on a visit to Israel.” Two people contracted measles while in the U.K. and one in Ukraine. Trust Exercise is Susan Choi’s fifth novel. She wanted to explore what happens when you look back on decisions that you made as an adolescent — when you felt like a grown-up, but may not have been as in control of your life as you had imagined. It’s so hard to just decode the world. And when we’re teenagers, I think that we’re wildly improvising. We’re just sort of grabbing standards of judgment, we’re grabbing values out of the air, and hoping that they fit. And we are really, really, I think, prone to make mistakes. I hate speaking for all teens, but I have to say: As a teen myself, I made loads and loads of real mistakes about the values that I held, the things that I thought were important versus dumb, the people that I thought were admirable versus silly. I really was basing my judgments on pretty limited experience. But it was so important to make those judgments. Remember? That’s what it was all about. That’s what growing up is all about. … And we’re supposed to! I mean again, that’s what we’re supposed to do … because that’s what growing up is. As a teen, it was very important for me to understand about music. And I remember being confronted by David Bowie. … I remember David Bowie being this amazing conundrum, where I was like: Is this the kind of thing lots of people like? Is this a secret that I’ve discovered? Is this — I think I like it, I think that’s OK, I think I’m brave enough to choose this as one of the things that I like. So that was what we were constantly trying to do. But with … a very small toolbox. What Karen is really struggling with, that I really struggle with, is that she had an experience of agency, of choosing. … And what do you do with that? Once you grow up, what do you do with that? And so that was something that I — I didn’t want to give the reader a pat answer because I don’t think there is one. Karen’s attitude toward them is violently mixed. She might defend them to David, but in her bowels she scorns them, these young women who made a bad judgment and now want to blame someone else. The thing that’s really complicated about this — and I would never want a reader to imagine that that sentiment of Karen’s is in some way a sentiment being endorsed by the book — what I wanted to express is that I think that sentiment is really real. I think it’s one of the reasons that people who experience abuse or misconduct at whatever level struggle so much with figuring out how to tell the story to themselves before they even try to tell the story to others. I think a lot has changed for young women today, and I think a lot hasn’t. I think a lot is exactly the same as it was when I was a young woman. I think that there’s every reason for a young woman to feel very strongly that allying herself with a powerful man, regardless of how she has to do it, might be her path forward — might sometimes be her only path forward. And forming that alliance may be a decision she makes when she is less experienced, and a decision that she is able to recognize for how compromised it was later in life, but we still have to recognize that there’s this whole baked-in social and cultural structure that’s pointing her toward that decision. Just identifying all the “bad men” and putting them into a time-out isn’t really going to address the ways in which sexism is baked into our society. NPR’s Ari Shapiro speaks with Daviz Simango, mayor of Beira, Mozambique, about the damage done by Cyclone Idai and how he wants President Trump to see it so that he can understand climate change. Today, we’re happy to announce another step forward in our strategy to deliver the best nationally and locally produced public radio content on smart speakers. When the first Amazon Echo hit the market in 2014, users who asked Alexa to “play the news” would hear the most recent NPR hourly newscast. 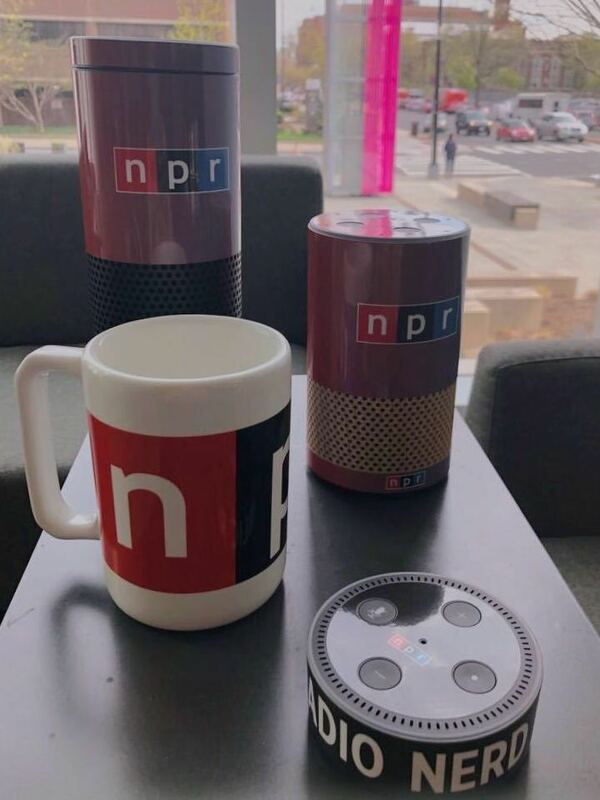 Starting today, thanks to a new partnership between NPR and Amazon, new Alexa owners have the opportunity to hear not only the hourly newscast but, immediately after it, a continuous listening experience that delivers a stream of the best and most up-to-date national and local content from Member stations and NPR. Now, new users who have not had an Alexa account previously will simply have to say, “Alexa, play the news.” Alexa will then ask the users to select a source. If the user replies, “NPR,” Alexa will ask for a zip code and confirm a local Member station, which will then be linked to a flow of news. Amid the crackdown, there are signs that the government’s control could be weakening. Video that was being shared on Tuesday showed some members of the military shielding protesters and site of the sit-in, the AP reported. 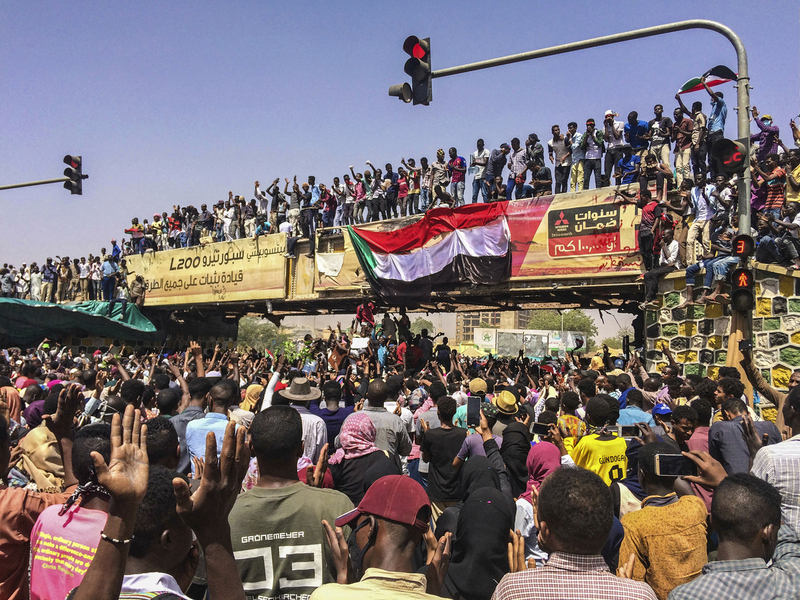 The Sudanese Professionals Union, which is organizing the protests, said in a public letter that the government’s security forces, along with Islamist militias, attacked the peaceful protest for over two hours on Tuesday. They had attacked the demonstration before, the union said, but this time it was larger and more violent. The union wrote that the regime rules “with complete tyranny, using violence and the security apparatus to guard itself against the people,” and argues that the government “has lost all legitimacy” since the protests began. Bashir has governed Sudan since 1989, when he came to power in a military coup that toppled the country’s last freely elected leader. In 2010, the International Criminal Court indicted Bashir for genocide and crimes against humanity committed in Darfur. Hind Makki, an interfaith educator in Chicago, explained on Twitter that the woman’s clothing is highly symbolic. Amnesty International criticized the violent quashing of protest. “The Sudanese authorities must stop firing at protesters peacefully exercising their freedom of expression. The killing of people who are simply taking a stand for what they believe in is completely unacceptable,” Joan Nyanyuki, the organization’s director for the region said in a statement. Uncovered fiber rolls in front of a private home on Town Neck Beach in Sandwich, Mass. 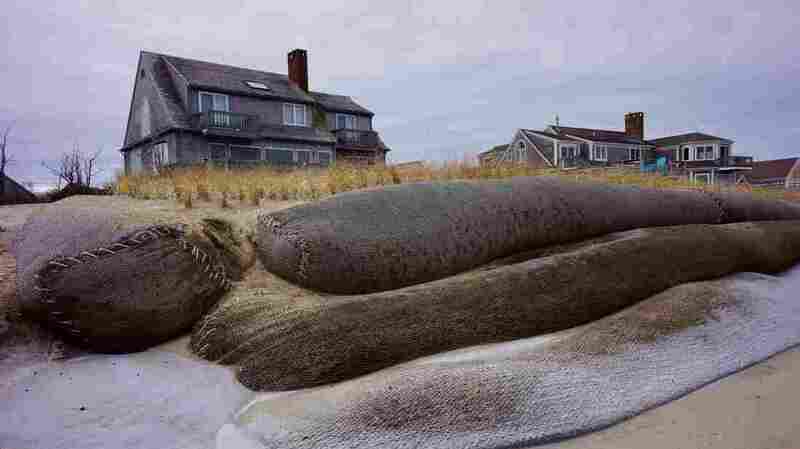 These large rolls are made from coconut fiber and filled with sand and are designed to prevent beach erosion. 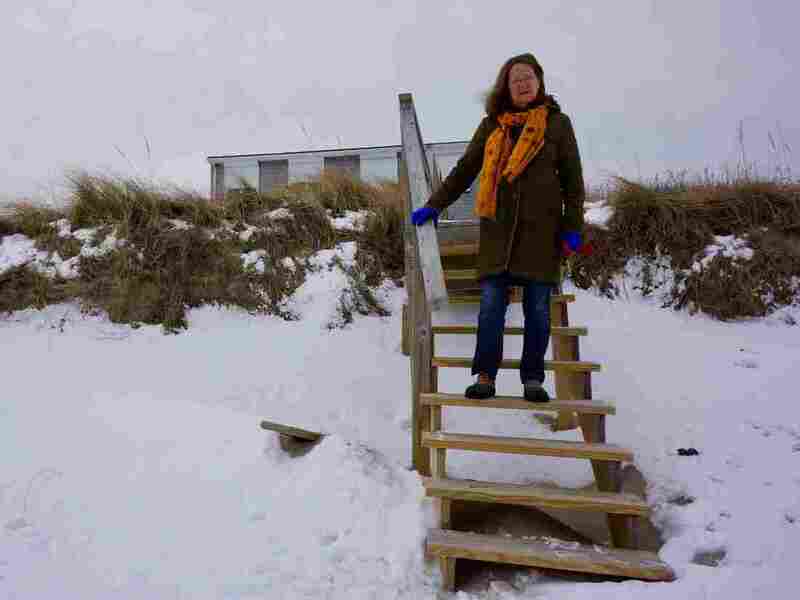 “The dunes went much further out on the beach, so over all this time it’s just eroded away to what it is now,” she said. These days the water is 50 feet from her home at high tide. It’s typical to have houses right on the shore on Cape Cod, and storms can cause a lot of damage. The rolls are made from coconut fiber and are buried in sandy slopes in front of homes, to absorb wave energy and hold sand in place. They are filled with sand or coconut fiber and planted with grasses and shrubs; they end up looking like dunes. Laura Wing in front of her beachfront home in Sandwich, Mass. Wing has not installed fiber rolls. This natural dune helps protect her home from erosion, for now, but spring storms could make her home vulnerable. But, whatever Wing decides to do with her property could also affect erosion on nearby public beaches. According to Dave Deconto, the Director of Natural Resources for Sandwich, there is a beach in town where public and private land meet. The private homes on the beach have fiber rolls in front of them — the beach next to the rolls is pretty washed out and has lost a lot of sand. That’s because any time you construct a dune, even a fiber roll dune, there’s going to be more erosion where the dune ends and the beach begins. Mother nature’s gonna do what mother nature does. Dave Deconto, Director of Natural Resources, Sandwich, Mass. There are other options for slowing erosion. One method uses barriers to break up the wave action before it hits the coast line, but it hasn’t been approved by Massachusetts environmental regulators. Massachusetts officials recommend fiber rolls because they have a lower impact on natural habitats than other methods for slowing erosion. The good news is, they are biodegradable. The bad news is, that means they have to be reinstalled every 5 years. Laura Wing says she isn’t going to install fiber rolls for now. “I can’t cover that kind of expense by renting the house, so that just comes out of my savings. And I’m retired.” She says she’s taking things one year at a time, and hopes she doesn’t lose her home in a storm before she decides to sell. NPR’s Ari Shapiro talks about the ongoing battle for Tripoli, the capital of Libya, with Frederic Wehrey, author of The Burning Shores: Inside the Battle for the New Libya.